As the Eastern Caribbean Central Bank (ECCB) celebrates its 34th anniversary, Governor Timothy NJ Antoine has appealed to his staff and the wider community to make the commitment to serve others. 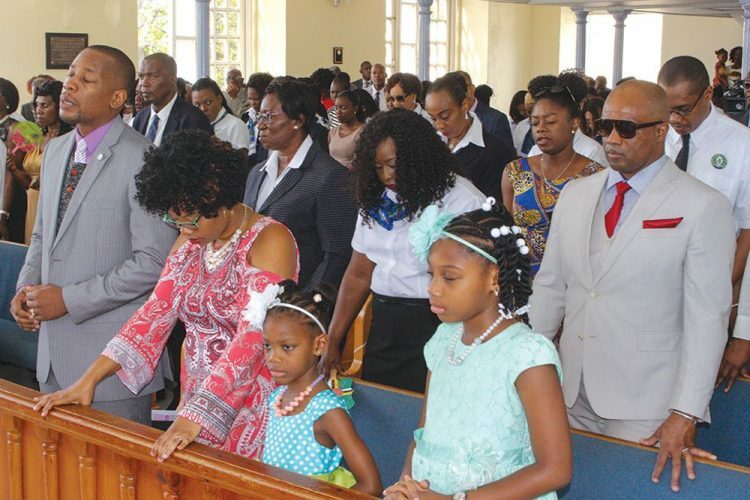 In his address during the Bankâs anniversary church service at the Zion Moravian Church, St Kitts, Governor Antoine said that those countries that have not been affected by Hurricanes Irma and Maria have been spared to serve. Hence, the people of the region must stand ready to serve the citizens and residents of the countries within the Eastern Caribbean Currency Union who are hurting due to the impact of the hurricanes. The ECCB was established on 1 October 1983 as the monetary authority for eight countries â Anguilla, Antigua and Barbuda, Commonwealth of Dominica, Grenada, Montserrat, St Kitts and Nevis, Saint Lucia and St Vincent and the Grenadines. The main achievement of the Bank over the years has been to maintain the strength of the EC currency and the stability of the ECCU financial system.